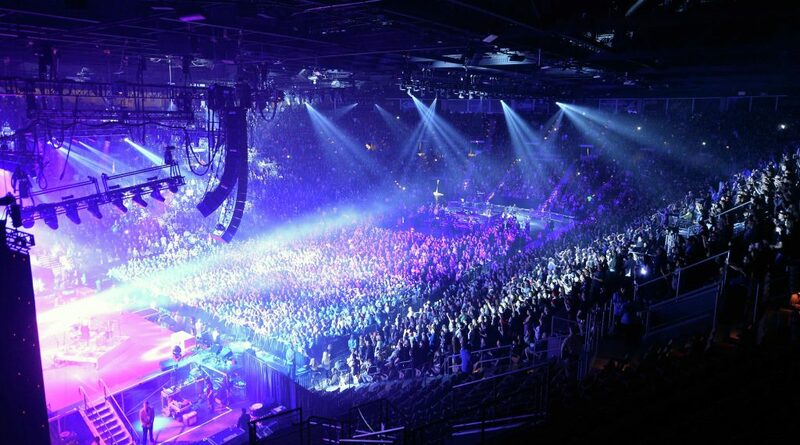 Contained inside the Mandalay Bay Resort and Casino complex, the Mandalay Bay Events Center is a state-of-the-art sports and entertainment venue that has hosted massive events including boxing matches, major concerts, monster fights, and TV specials such as the Latin Grammy Awards. Notable boxing matches have included the 2011 Amir Khan vs. Zab Judah Light welterweight title unification match. The venue has also hosted the The Grand Finals of Evo 2016, Evo 2017, and Evo 2018. The Latin Grammy Awards are regularly held here, and the first two Rock Honors ceremonies were held at the Mandalay Bay Events Center in 2006 and 2007. Other notable events include the Miss USA beauty pageant and the Miss Universe beauty pageant. Artists who have performed at the Mandalay Bay Events Center include Journey, Katy Perry, Ozzy Osbourne, Maroon 5, Ozuna, Taylor Swift, Shakira, Rihanna, Lana Del Rey, Iron Maiden, Muse, Black Sabbath, the Michael Jackson:Immortal tour by Cirque Du Soleil and many, many more! For venue parking information please see the parking page. For ticket information and information on our ticket provider please see the Mandalay Bay Events Center tickets page. For seating chart configuration and find out about accessible seating, please see the Seating Chart page.